1.1.2.1.1 Create a new Model. 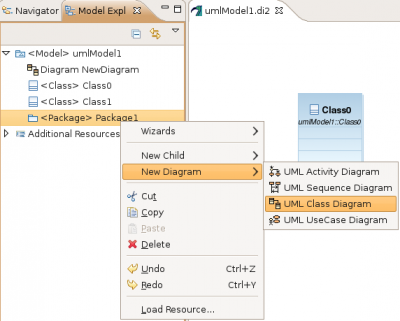 The model explorer is used to navigate to the all model's elements and the diagrams. This action link the model explorer with the active diagram selection. This action works bidirectionally. This action allow to add new semantic element. This action allow to add new diagram in current selection. All actions are available on diagram item. The model explorer used Common Navigator Framework and provide facilities to customize view. 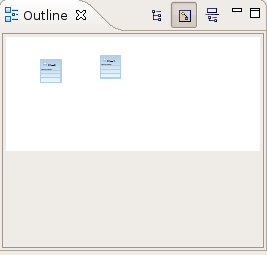 The Outline offers a thumbnail of the graphical representation and the list of semantic elements used in current diagram. 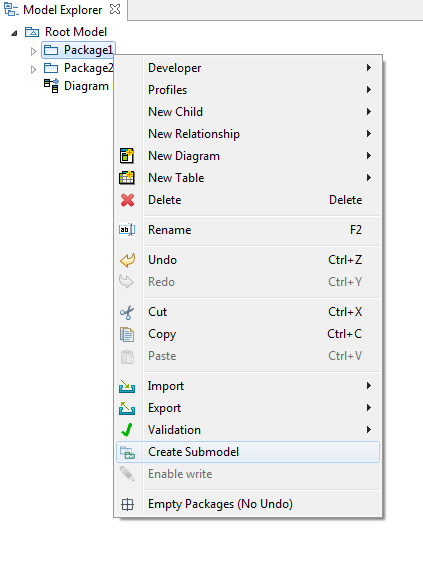 Choose the model file name and the first diagram to create. 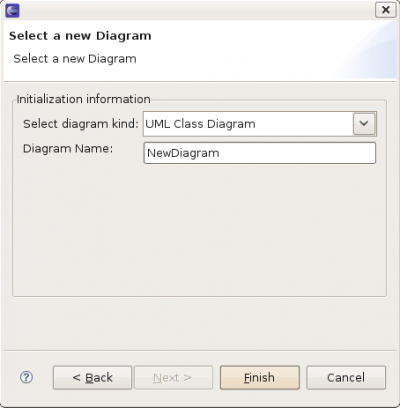 From your uml file, select the "Initialize Papyrus diagram" to access the creation wizard of Papyrus. Your Papyrus diagram will be linked with your existing model. The palette is available with any diagrams. But its content depends on the diagrams type. The standard palette ( the top container of the palette in red in the here-after capture) contents a standard selection tool (the white arrow), a zoom in and zoom out tool, and marquee selection tools. The standard palette is available for every diagram. Papyrus has its own set of Toolbars. 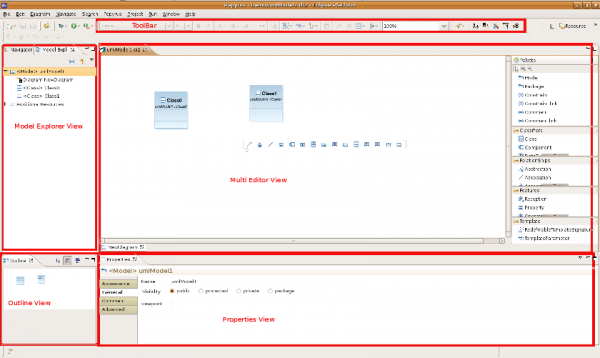 A Toolbar regroups a set of tools belonging to the same kind of activity. The different Toolbars can be shown or hide depending on the perspectives. 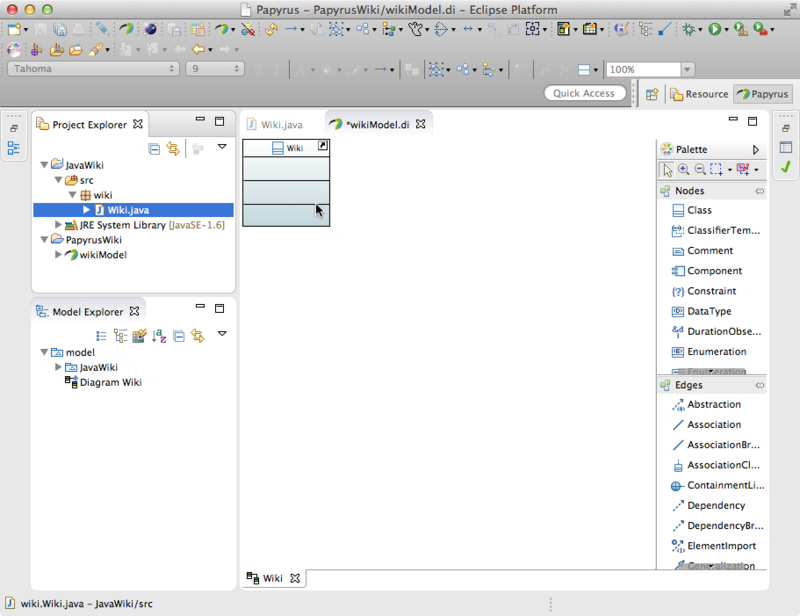 The toolbars visibility can be customized from the menu Windows/Customize Perspectives. Apart from the aforementioned programming language, it is also possible to develop and integrate other code generators to Papyrus. 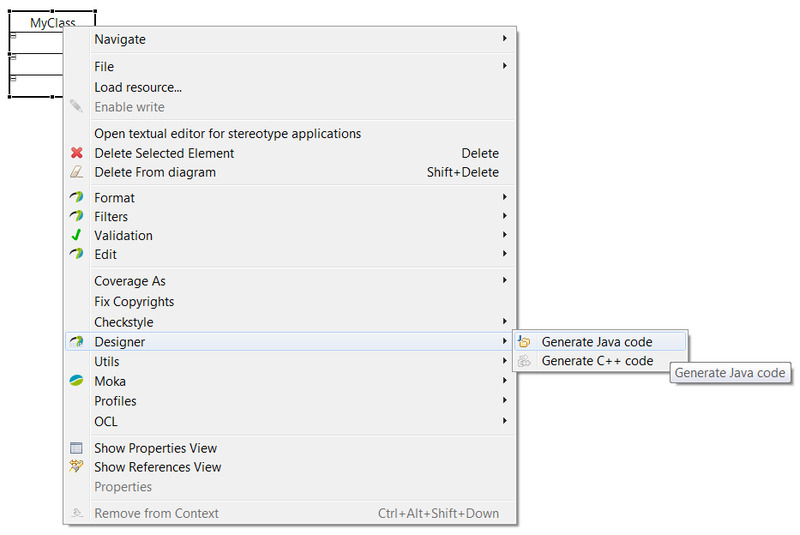 To learn about how to add a new code generator to Papyrus, refer to the following wikipage. 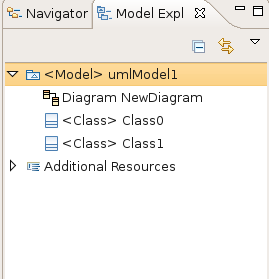 Papyrus provides embedded editors to edit UML Elements. Of course these editors allows to edit the name of the elements, but they allow to edit much more than this. 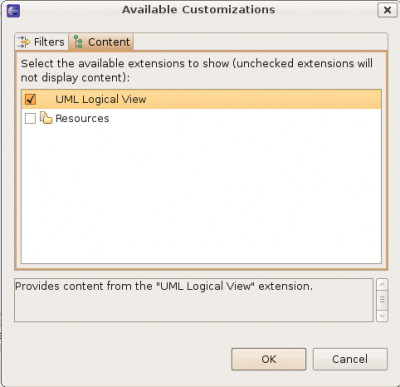 This editor allows to edit UMLValueSpecification. ValueSpecifications are used to define the default value of a Property or to define the multiplicity of a MultiplicityElement (lower and upper values). 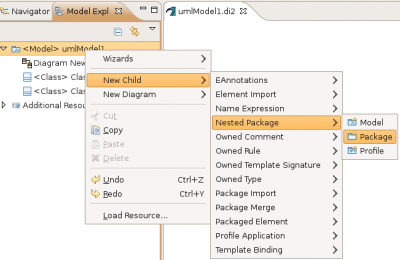 Papyrus provides an Xtext Editor for UML ValueSpecification. 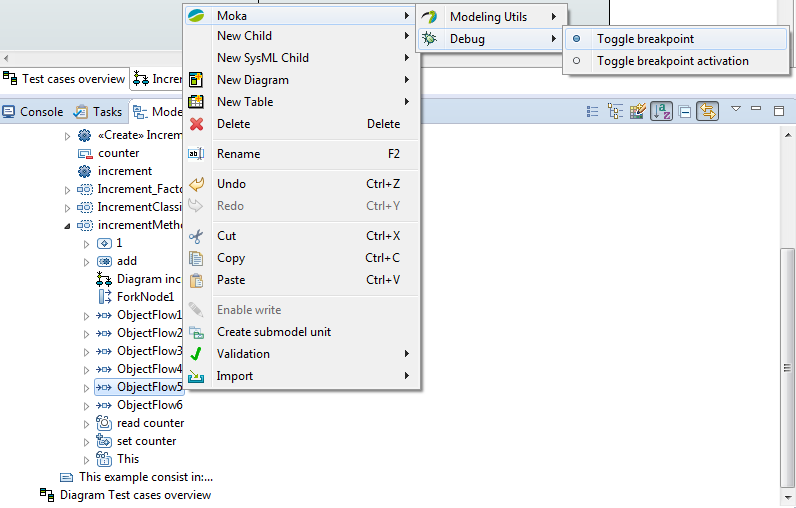 This editor provides completion (CTRL+SPACE) to help the user to define the value to set crossing easily the model. You can use this editors in Papyrus table or in papyrus Property View for example. The developer documentation for this editors is available here. If the text filled is not compatible with the grammar of XText parser, an OpaqueExpression will be created. 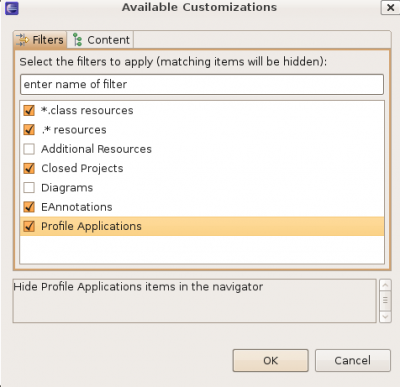 The XText parser for Value Specification is not restrictive with the text filled, i.e. the different features setted on an existing Value Specification will be kept if possible. For example: If an existing Value Specification is a LiteralBoolean named 'testBoolean' with the visibility 'public' and the value setted to true, the text +testBoolean=false and false have the same result: the value of LiteralBoolean existing will pass to false (the name and the visilibity don't change). If the type of Value Specification's container is not defined, the default behaviour will be applied. If the type of Value Specification's container is setted, the same text filled will be have different behaviour depending to the type. In fact, the value filled must be consistent to the type, otherwise an OpaqueExpression will be created. 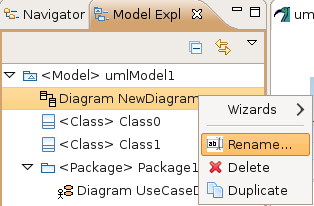 Since Papyrus 1.1.0 (Eclipse Mars), Papyrus provides a new texutal editor to edit references to UML NamedElement. This editor works only for references which are not in containment. This editor has not been developed using XText. It use a custom string parser and provide a completion (CTRL+SPACE) to help the user to find the named elements to reference in the model. You can use this editor in Property View or in Papyrus table for example. Developer documentation is available here. This editors allows to find named element typing its name. If the name of the element contains a comma, you should prefix and suffix its name by a quote '. 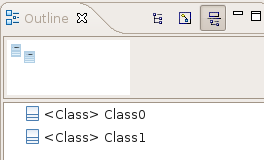 If you have 3 Classes in your model, named Class1, Class2 and Clas,s3. The advanced mode which allows to edit the lower and the upper values from two editors of ValueSpecification. The values set as lower and upper are always positive (except the * for the upper which is valued as -1). This editor use the XText ValueSpecification editors (explain here) with some specificities depending on lower or upper value edition. The specificity of the lower ValueSpecification edition is when the value filled is an integer, this one will be handled as LiteralInteger instead of LiteralUnlimitedNatural or LiteralInteger (the * value will create an OpaqueExpression). Regarless of the way used to switch modes, the mode used is saved in the preferences and will be used for each multiplicity in Papyrus. 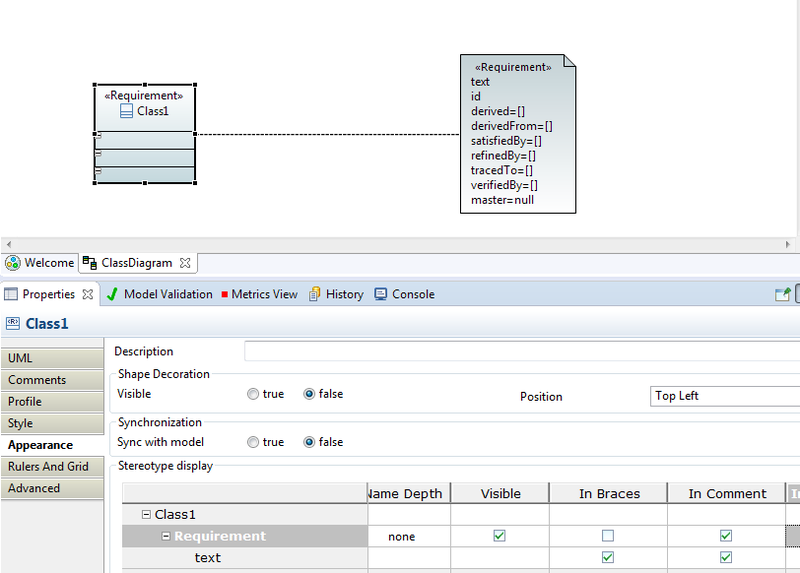 Papyrus for Requirements helps you to specify and analyze requirements in the context of systems modeling. It aims to cover the Specification, Management, Analysis and Validation-Verification activities of Requirements Engineering. 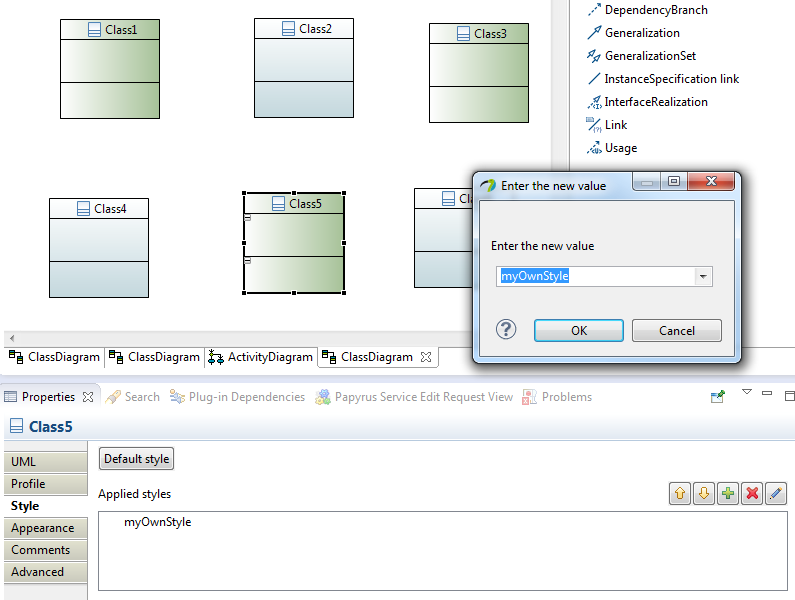 Papyrus for Requirements depends on the components Papyrus for SysML and Papyrus for Metrics. This page was last modified 09:20, 15 February 2018 by Quentin Le Menez. Based on work by Benoit Maggi, Mauricio Alferez and Patrick Tessier and others.